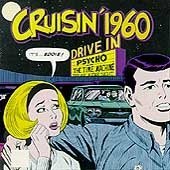 The first image on the page is for Various Artists - Cruisin' 1960, followed by the original. Also check out the most recent parody covers submitted to the site. Well, I-- Hey, wait a minute! Psycho AND The Time Machine on the same bill, for a dollar? Yes, please!